Saturday, March 19, 2016 12:00 AM Place 13 Points 17 Meet Recap Each year this meet provides the coaches with the first real look at what we have. There was a lot of positive performances by our boys at Whitewater this year which resulted in 17 points to tie for 13th in the team scores. Tuesday, April 12, 2016 4:30 PM Divine Savior Holy Angels High School AWAY 9 Wauwatosa East High School HOME 1 Game Recap Girls had a tough start to the season but it’s early in the season. 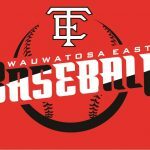 Multiple Teams · Apr 7 Baseball Try-Outs Coming Up! GAME vs. CATHOLIC MEMORIAL CANCELED TODAY, APRIL 6. Check back for rescheduled date.